It was meant to highlight the best of British invention, to revolutionise modern travel, like the railways had done a century earlier. 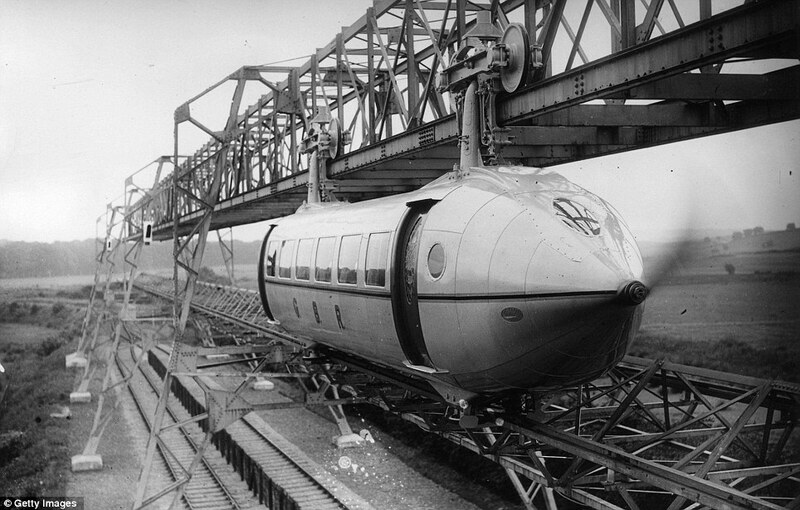 These photographs show the test track built on a wave of optimism in Glasgow in 1930, when inventor George Bennie believed the Railplane – best described as a cross between a monorail and plane – would provide glamorous, bump-free, smokeless travel at 120mph to the masses. But sadly this journey only ended with one destination: The land of failed dreams and bankruptcy for the man who spent nearly 20 years of his life trying to make the Railplane a reality.